Situational awareness: We told you in Axios PM that the Oscars will now include an "achievement in popular film" category. Among much Hollywood blowback, a front-page L.A. Times headline confers a nickname that's sure to stick: "The superhero Oscar." With his constant commentating and public negotiating, Trump lawyer Rudy Giuliani is setting up unmeetable expectations for special counsel Robert Mueller — a kind of insurance policy with the president's base. The former New York mayor said in an interview last night with Fox News' Sean Hannity that the investigation should be "over by September," and that Mueller's case "isn’t going to fizzle. It's going to blow up on them." "[T]here's a lot more to what they did that nobody knows about yet ... a lot more to the obstruction of justice, to the collusion, to the fake dossier." Why Trump fired FBI Director James Comey. What Trump said to Comey about the investigation of former national security adviser Michael Flynn. Giuliani mentioned those as if they were minor details — totally reasonable areas for Mueller to agree to avoid. In fact, they’re central to the question of whether Trump obstructed justice. Rudy is pushing and pulling Mueller, and every day throws more mud over the investigation. The mayor is exploiting Mueller’s silence. 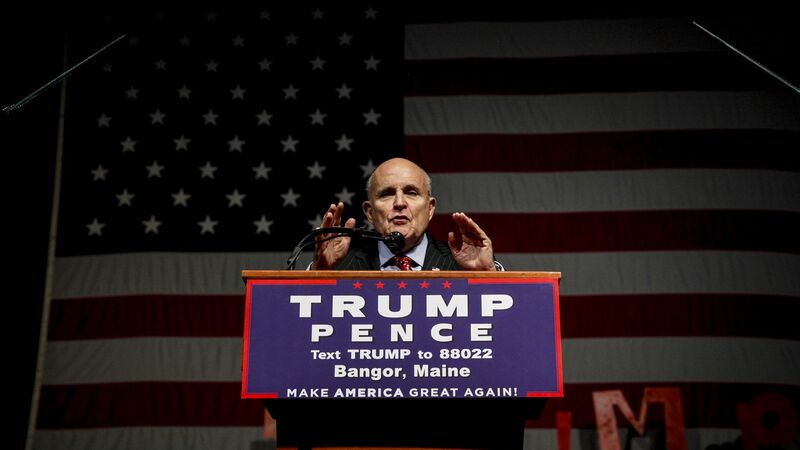 Because Mueller can’t and won’t discuss the investigation, Rudy gets to monopolize the airwaves and frame the debate on his terms. Giuliani is publicly rushing Mueller to wrap up his investigation by September, and at the same time trying to rule out some of the key questions Mueller wants to explore with Trump before wrapping up the probe. Giuliani is also personalizing it, framing everything as Mueller trying to entrap Trump. The theater of going back and forth with Mueller is designed to create a public impression — or at least an impression in the eyes of Republican voters — that Mueller has personal animus towards Trump, and is trying to use legal trickery to steal the election from Trump voters. This is pure P.R. 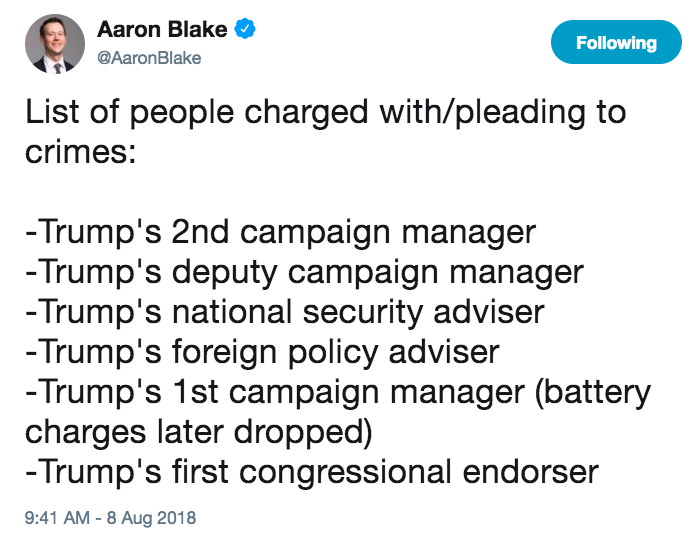 There's no way Mueller is wrapping this thing up by Sept. 1. And there's no way Mueller will agree to an interview with Trump on the condition that he won’t ask him two of the critical questions about obstruction of justice. By claiming them as totally reasonable asks, when Mueller ultimately doesn’t deliver by Labor Day, Rudy helps fuel the base’s rage all the way through to midterms. You see in polls that Trump has made the investigation a red-blue issue. You see it in footage of Republican voters at town halls, echoing the anti-Mueller line. "Ivanka Trump is likely to be dispatched to suburban districts to talk about the economy and the workforce, while the president is expected to be on the road at least three or four days a week in swing states such as Ohio and in states where he was dominant in 2016, such as West Virginia." "White House officials have been giving Trump weekly or biweekly updates on races and showing him polling and pictures of candidates along with the staff or party leadership recommendation of what to do in each contest." Wait for it: "But Trump doesn’t always listen to advisers and has been driving the strategy himself, informally polling his inner circle about how far he might go on trade policy and a possible government shutdown over immigration policy without crippling the GOP field." "CEO Elon Musk’s suggestion ... that he wanted to take Tesla private at $420 a share, putting a value of $72 billion on the carmaker, had some investors wondering whether ... Wall Street has become overheated after nearly a decade of gains following the 2008 financial crisis," Reuters' Noel Randewich reports. Mike O’Rourke, chief market strategist at JonesTrading, in a client note: “A mega-LBO [leveraged buyout] of a company notorious for its cash burn rate would be the clear sign that this is the ultimate market top." "This is the type of behavior often witnessed at market extremes." P.S. The SEC is asking Tesla whether "Musk was truthful when he tweeted that he had secured funding for what would be the largest-ever corporate buyout," per The Wall Street Journal (subscription). Bloomberg: "Pressure to Show the Money Mounts." 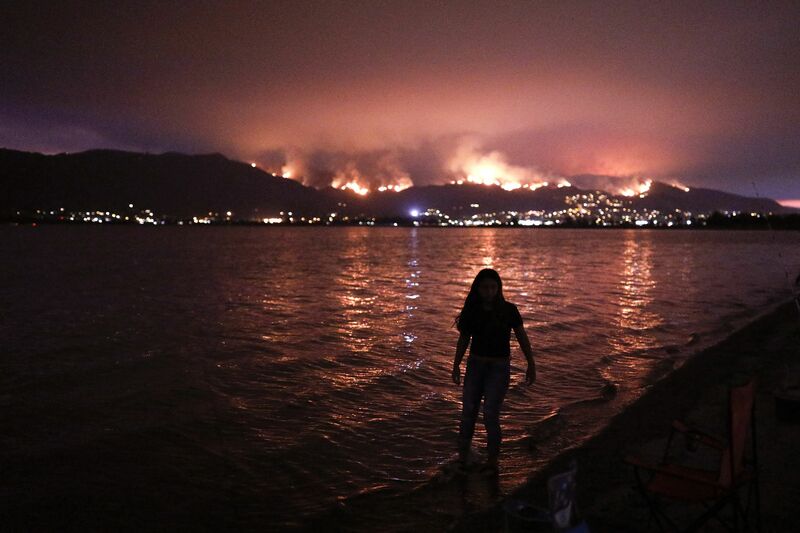 In Riverside County, Calif., a girl wades through water yesterday while watching a wildfire burn in the Cleveland National Forest in Lake Elsinore. 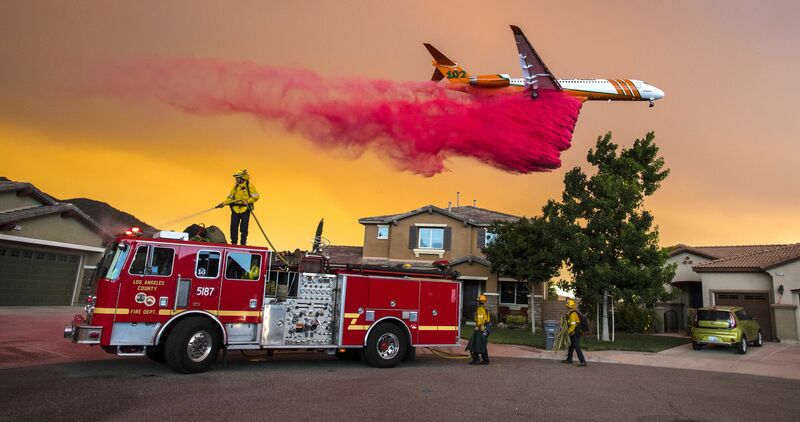 Below, a plane drops flame retardant behind homes in Lake Elsinore. 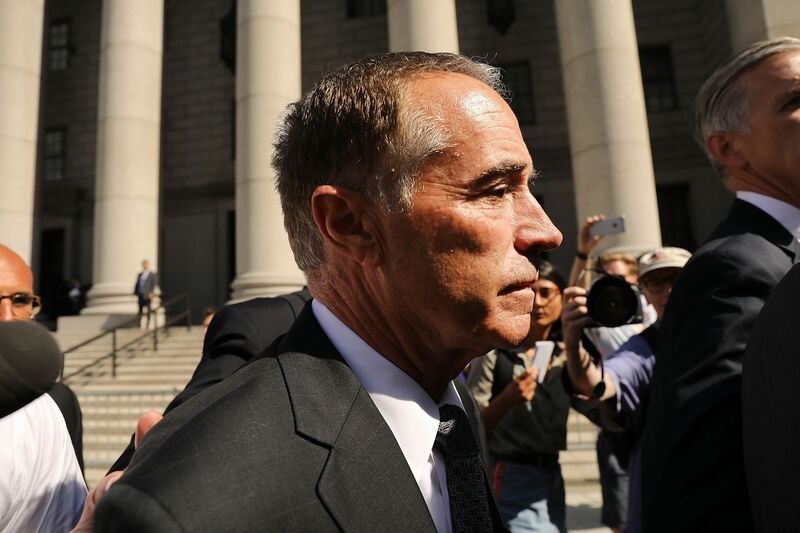 "Prosecutors say Collins got an email while attending a picnic last year at the White House that the company's medication had failed an important medical trial. They say Collins told his son, who then dumped his stock in the company before the trial results were announced publicly." "Collins is a staunch supporter of President Donald Trump and was among the first sitting members of Congress to endorse his candidacy." "The legislation passed overwhelmingly by the City Council will cap the number of for-hire vehicles for a year while the city studies the booming industry." Why it matters: "New York’s move to restrict the number of ride-hail vehicles and to establish pay rules for drivers — another step no other major city has taken — could provide a model for other governments that want to rein in the industry." "New York’s aggressive stance also raises questions over how fast Uber can continue to grow." "[T]he company, which has been valued at $62 billion, plans to move toward an initial public offering next year." Elizabeth Cassarino, a yellow-cab driver who said she had maxed out her credit cards and was having trouble buying food: "Finally. We’re starving to death." Here's how badly the country has fractured over President Trump: He has a near-universal approval among Republicans, while three in four Democrats want him impeached. But it's not like the last few presidents united the country, either. Republican Dwight Eisenhower had 49% approval from Democrats during his presidency, as did John F. Kennedy from Republicans. Now, that kind of support for a president from the other party has practically disappeared: Barack Obama had 14% approval from Republicans, and 7% of Democrats approve of Trump. "For almost all of American history, even presidents with strong views have realized that part of their job was to try to unite the country. Starting with Donald Trump’s inaugural address, he suggests an opposite point of view — that uniting the country is not part of his job, and that he thinks a president becomes more powerful if he divides." "Yet 18 months after his appointment, Mnuchin has proved them wrong—outlasting even Gary Cohn." 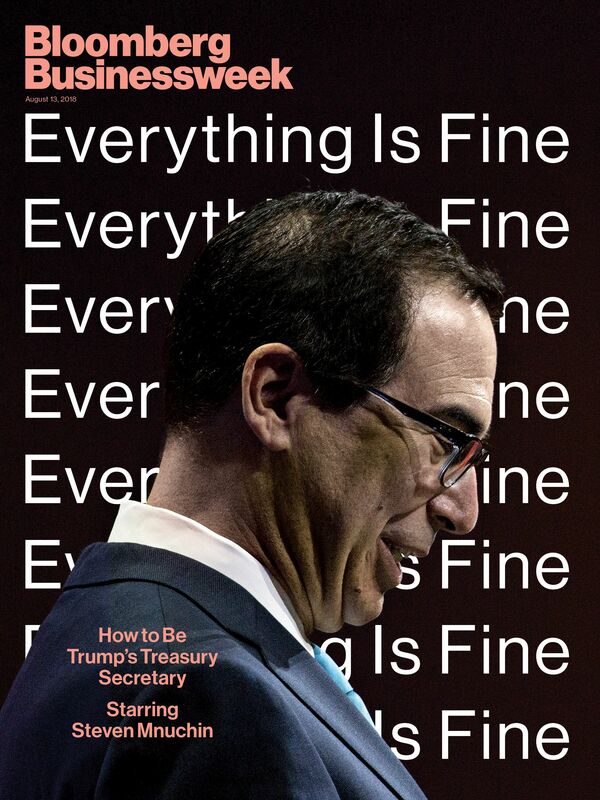 Why he matters: "Now the Treasury secretary remains a voice of prudence, if not reason, amid the turbulence stirred up by his volatile master." "One of only a few moderates left in the White House, Mnuchin has acted, not always successfully, as a bulwark against some of the administration’s more reactionary forces, trying to dissuade Trump from launching a full-blown trade war with China and other allies, which many believe could devastate the global economy." Be smart: "Mnuchin has often found himself having to explain that Trump really didn’t mean what he just said or tweeted." "There are three intertwined ideas that [Lee] routinely returns to, both as a black American and as an artist who is dead-set on holding up a mirror to society, ever hopeful that we’ll eventually open our eyes. Spike Lee wants us to wake up. He wants us to start being honest with ourselves about this country. And he is begging us to educate ourselves about our history." Browne: "So many Americans were lulled into complacency by the progress that Obama’s presidency signaled, and the symbol he represented. Yet all gains can easily be lost, particularly in a society stacked against anyone who threatens the dominant order. Lee has been trying to tell us this for more than 30 years. He’s hoping we’re ready to listen." 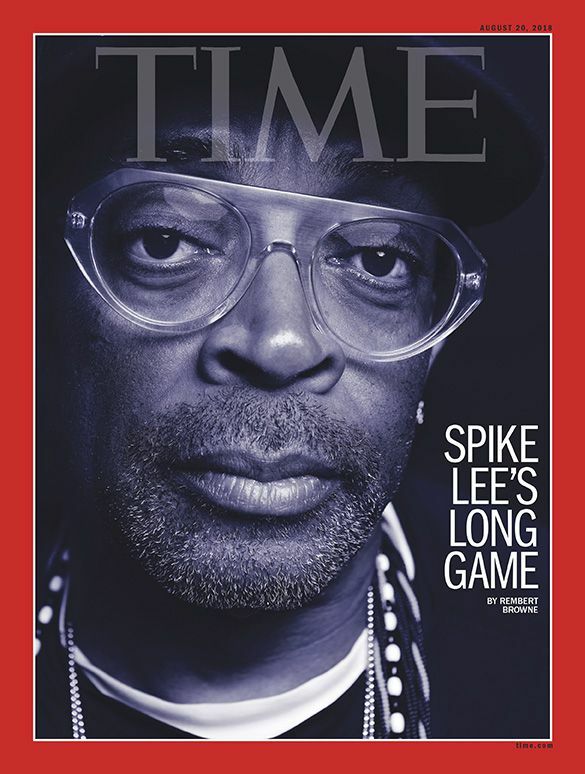 L.A. Times review calls the film "Spike Lee at his peak." "But while it takes place in a medieval realm of wizards and dragons, it is not exactly Mr. Groening’s answer to 'Game of Thrones.'" 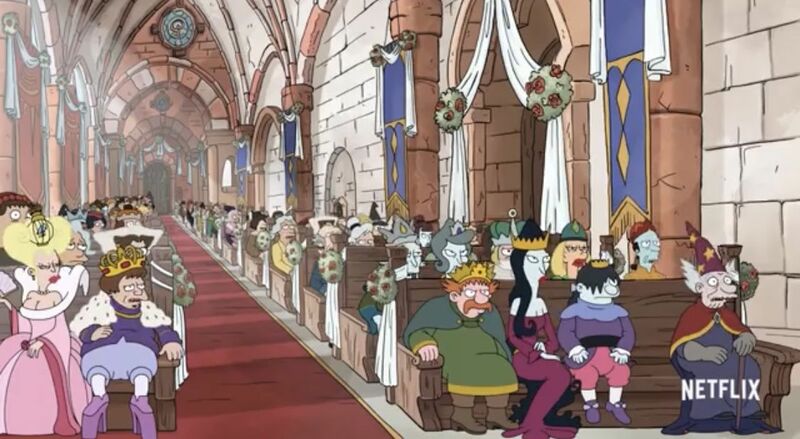 "'Disenchantment' is more like Mr. Groening’s comic amalgam of fantasy franchises like 'Lord of the Rings' and the animated epics of Hayao Miyazaki, to name just two of its dozens of influences." The details, from a Netflix release: "From the mind of Matt Groening, comes the 10-episode adult animated comedy fantasy series, Disenchantment, launching on Netflix, August 17." "[V]iewers will be whisked away to the crumbling medieval kingdom of Dreamland, where they will follow the misadventures of hard-drinking young princess Bean, her feisty elf companion Elfo, and her personal demon Luci." "[T]he oddball trio will encounter ogres, sprites, harpies, imps, trolls, walruses, and lots of human fools." Thanks for reading. Live updates all day on Axios.com.